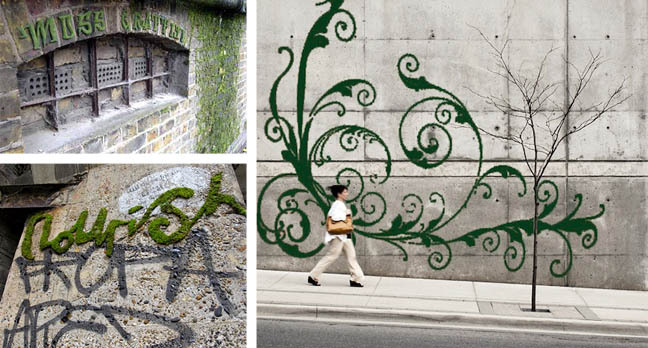 Seed bombs and shotgun shell sprouts are not the only weapons in a guerrilla war for urban gardens and green street art – moss is a great material that can be rapidly adapted and deployed to make statements on city surfaces as well. Indeed, using mosses allows artists to go above and beyond the ground, shifting from horizontal to vertical spans for a different look and added visibility. 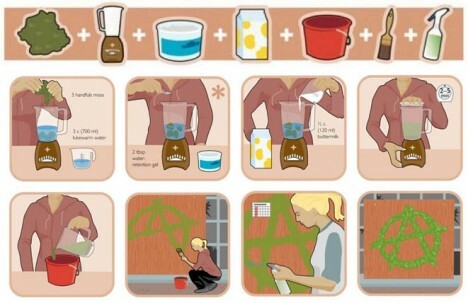 And, as it turns out, creating moss wall art is not as difficult as you might guess – do-it-yourself directions are shown in detail below. 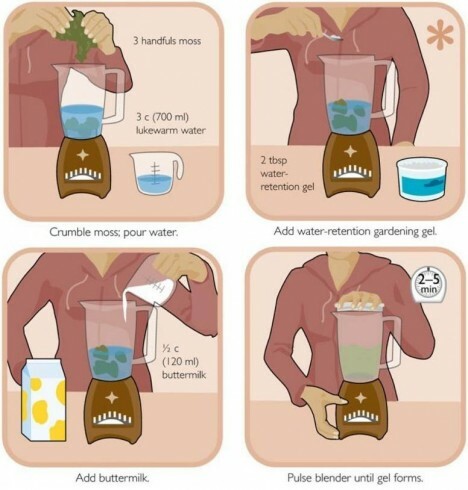 First, you have to gather some moss, naturally, which you can then mix with water-retention gardening gel and some buttermilk then blend together for a few minutes to form a gelatinous substance. 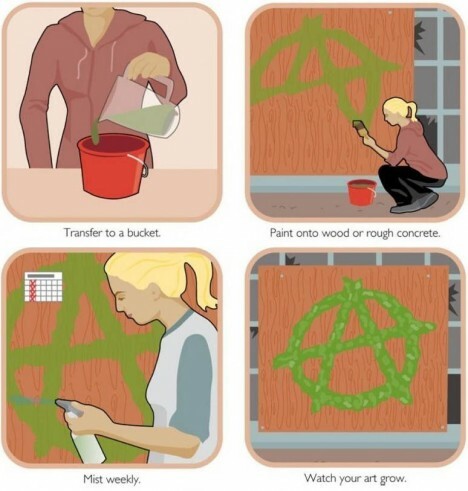 Shift your creation into a portable container then select and paint it onto a surface of choice – if the area will not be exposed to moisture, you may want to come back by and spray on some water from time to time. 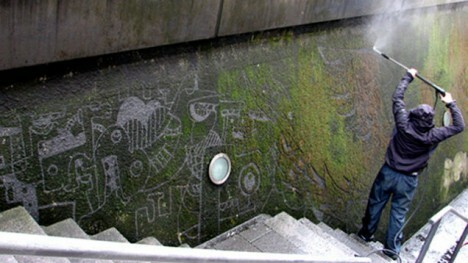 Remember, too, that there are many ways to take this process further and create additional kinds of green artwork, mossy or otherwise. 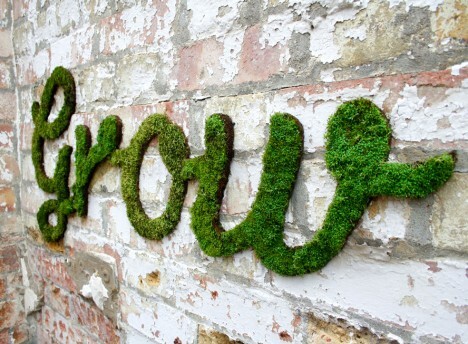 Meanwhile, if you find a surface already mossed over thanks to time and nature, selectively erasing sections of growth can be a fun form of expression as well.